Don't miss this adorable ranch style home with painted brick exterior. 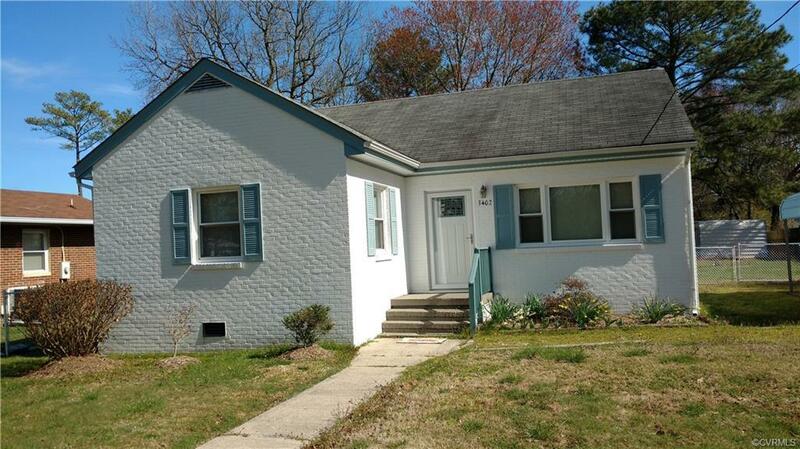 Completely remodeled interior features 3 bedrooms with wood floors and 1 bath. Spacious eat in kitchen has NEW refrigerator, NEW stove, NEW cabinets. Home has gas heat and central air, new LED lighting. Nice deck, large fenced in back yard with shed.